British number one Johanna Konta is out of the BNP Paribas Open in Indian Wells following a 7-6 (7-2) 3-6 6-3 defeat by world number 19 Karolina Pliskova. Victory over her Czech opponent would have put Konta in with a chance of breaking into the top 20 of the world rankings for the first time. 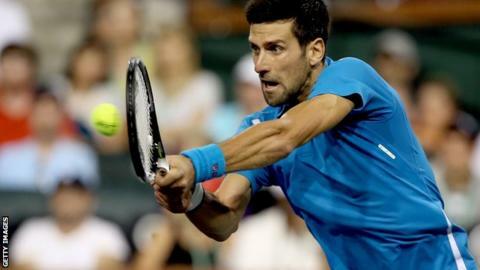 Novak Djokovic reached the last 16 of the men's singles with a 7-5 7-5 win over German Philipp Kohlschreiber. Rafael Nadal beat fellow Spaniard Fernando Verdasco 6-0 7-6 (11-9). Two-time champion Serena Williams defeated Kateryna Bondarenko 6-2 6-2 to earn a quarter-final with Simona Halep. In the San Antonio Open, British number three Naomi Broady was beaten 6-2 6-3 by Germany's Anna-Lena Friedsam.